Each morning of your stay in Bradenton should start with a visit to our complimentary, hot breakfast. With favorites that include Belgian waffles, muffins, pastries and a rotating selection of hot items, you'll be tempted to try a little of everything. 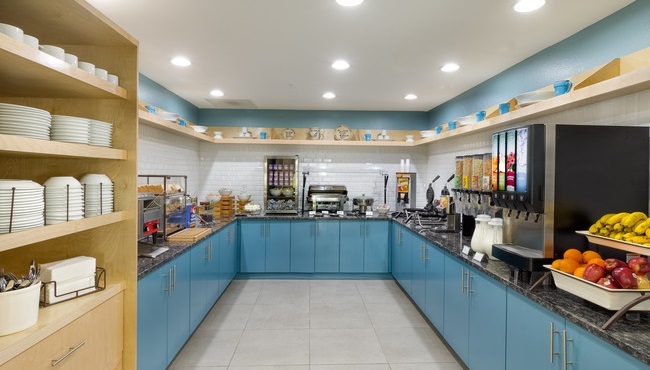 Tea, juice and unlimited gourmet coffee are also available to complete your perfect morning meal. For lunch and dinner, be sure to visit nearby restaurants such as Gecko’s Grill & Pub and China Village, both less than one mile from our hotel. Room service is also available through DoorStepDelivery, which represents more than 20 area restaurants.